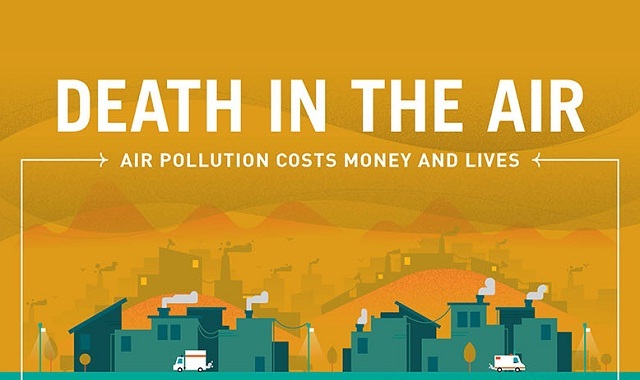 Death in the Air: Air Pollution Costs Money and Lives #infographic ~ Visualistan '+g+"
Air pollution has emerged as the fourth-leading risk factor for deaths worldwide. While pollution-related deaths mainly strike young children and the elderly, these deaths also result in lost labor income for working-age men and women. The loss of life is tragic. The cost to the economy is substantial. The infographic below is mainly based on findings from The Cost of Air Pollution: Strengthening the economic case for action, a joint study of the World Bank and the Institute for Health Metrics and Evaluation (IHME).